Heidelberg North America Hosts 200+ Customers for “Everything is Connected” Event Series | Industry Analysts, Inc.
Kennesaw, Ga. November 2, 2018 – More than 200 customers from the United States, Canada, and Mexico have visited Heidelberg’s North American headquarters in Kennesaw, Georgia for the recently completed event series, “Everything is Connected.” The day-long event focused on the digital transformation of the industry and its impact on printers’ Overall Equipment Effectiveness. The event kicked off with an insightful presentation on the impacts digitalization has on print shops with an overview of Heidelberg’s offerings including “Push to Stop” technology, Lifecycle Solutions powered by Heidelberg Assistant, Heidelberg Subscription, and Prinect Production Manager. Throughout the day, customers participated in a complete “Push to Stop” demonstration, listened to presentations on Heidelberg’s newest digital technologies and business models, and had the opportunity to demo all equipment at Print Media Center Atlanta, which includes the new Speedmaster CS 92-5+L with LED, Versafire EV and EP, and full Prinect prepress, postpress, and packaging products. One of the highlights of the event was a walk-through of the entire commercial production flow, starting with the Prinect workflow, followed by the Speedmaster XL 106-6+L with UV, LE UV, and LED and the Stahlfolder TH 82-P, all driven by “Push to Stop” technology. With “Push to Stop” technology, jobs are autonomously changed over without operator intervention and will continue to print or fold until the operator interrupts it on their Speedmaster or Stahlfolder. To conclude the demonstration, customers received a full production data report from Prinect Analyze Point. Processing operating data from Prinect, Analyze Point provides a comprehensive overview of current job production and long-term production in clear graphics and numbers. “The Prinect Analyze Point uses data that is automatically generated from the set-up of jobs from Prinect to the completion of production on our Heidelberg equipment. Production Managers and Owners are both able to use this data to evaluate their productivity to ensure that their business is optimized to help maximize their efficiency and output,” said Errol Moebius, Director of Print Media Center Atlanta at Heidelberg. 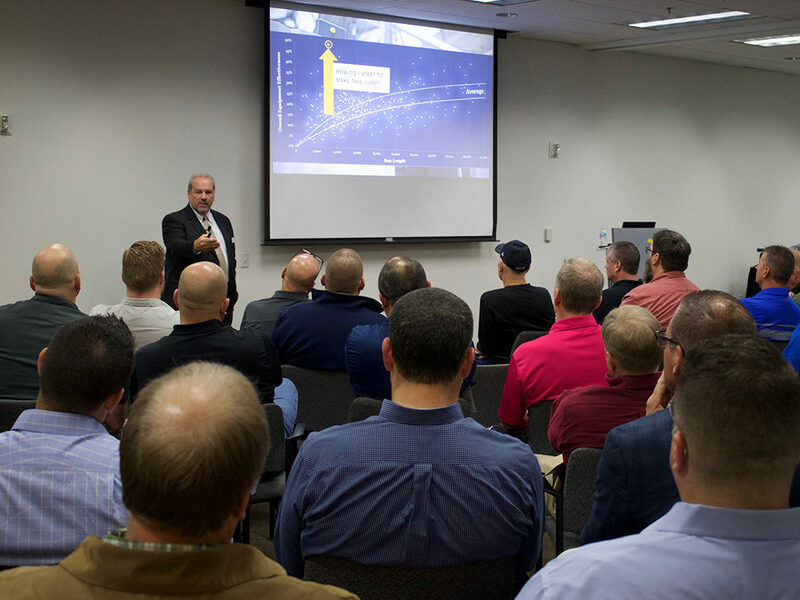 Deep-dive sessions were held to discuss Heidelberg’s newest digital technologies and business models including Heidelberg Lifecycle Solutions powered by Heidelberg Assistant, Heidelberg Subscription, and Prinect Production Manager. With Lifecycle Solutions, Heidelberg combines consumables with digital and technical services in order to become a partner in productivity for their customers. This intelligent combination of products and services helps customers boost their profits and extend the lifecycle of their equipment. Powered by Heidelberg Assistant, an online portal, customers can now identify and minimize potential production interruptions thanks to the help of intelligent performance management and predictive monitoring. Through the Subscription Model, Heidelberg provides the equipment and a full suite of Lifecycle Solutions all for a monthly cost that is based on the number of printed sheets the customer produces monthly. The Subscription Model offers a deeper partnership where Heidelberg is responsible for raising their customers’ performance to the highest level possible. Customers can focus on producing high quality print jobs, while knowing that their equipment is performing at the highest level of efficiency. Prinect Production Manager is an innovative way of delivering software that gives customers access to all Prinect production workflow products in a simple subscription model. The Production Manager includes technical support for all fixes and upgrades — continuously giving customers the latest version and newest Prinect suite introductions. If you would like information on any Heidelberg Digital Technology, email us at info@heidelberg.com. This entry was posted in Uncategorized and tagged heidelberg by IA Staff. Bookmark the permalink. ← Previous Previous post: RISO Promotes Dealer Sales VP To VP Of Sales! Next → Next post: ROAD TRIP! ecoprintQ and Umango on the road in Florida!